Patti Smith was in NYC to play a post-Tribeca Film Festival show, following the premiere of the documentary: Horses: Patti Smith and Her Band, which follows her 2015 tour celebrating the 40th anniversary of her debut album Horses. This past Saturday Patti Smith performed with The Heartbreakers at the Light Up the Blues benefit in Los Angeles. It was The Heartbreakers ‘first live performance together on-stage since the death of Tom Petty. 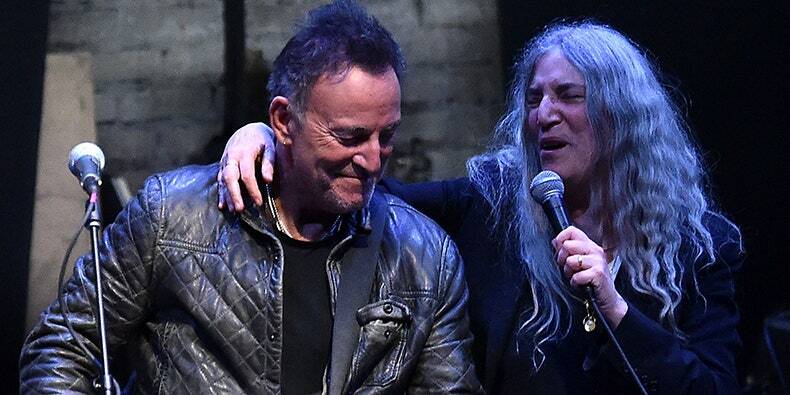 Checkout some fan video of Patti, Bruce & Michael performing together at the Beacon. Watch Patti Smith perform her 1975 epic “Land” in the new trailer for her concert documentary Horses: Patti Smith and Her Band.